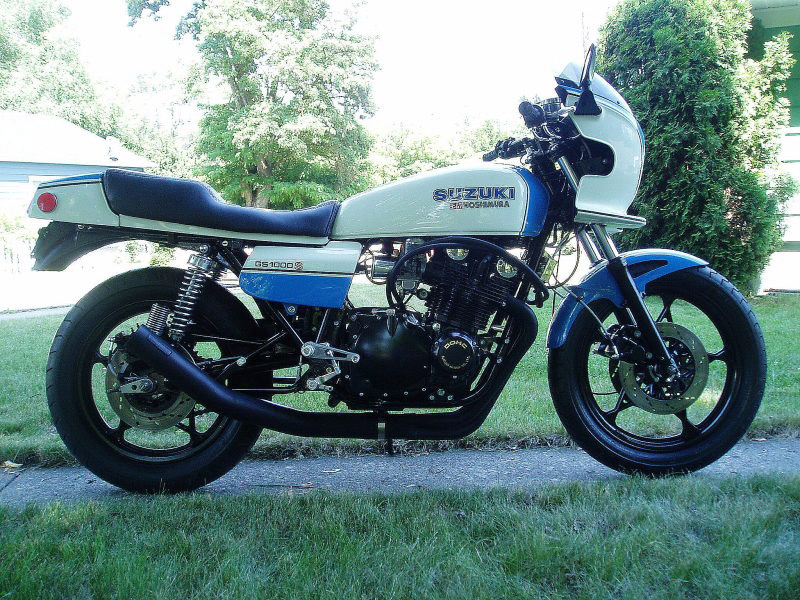 This 1979 Suzuki GS1000S sat in a backyard in Washington USA for six years until Larry Pearson got his greasy hands on it. Larry is no stranger to motorbikes. He has been custom painting and restoring bikes for years (having 8 amazing bikes in his possession). About 14 months ago he started his dream of turning this GS into a tribute to Wes Cooley’s Superbike. It all started with a beautiful original Yoshimura racing pipe. The engine only had 17K miles on it, and ran like new. He did a complete front end rebuild, all new seals, bearings. Same for the swing arm, and the entire brake system with the addition of stainless lines. Continental “Cont-Blyz” tires, ’80 Suzuki rotors, “83 Honda CB1100F rear shocks and front fender. Tarozzi rear sets. He cut two inches off a 1980 GS seat foam bottom, and had it professionally upholstered. He wanted to build this bike for 30 years after seeing Wes Cooley, Eddy Lawson, and Freddie Spencer race Superbikes. Well, we think it was worth waiting for and we take our helmets off to you mate. Larry is about to embark on restoring and painting bikes for a living, so if you want him to build you a masterpiece contact us and we will give you his email. (We will post some more of Larry’s creations in the following weeks).